It has been awhile since our last post, but we have not forgotten about all of our followers. In fact we have plenty of stuff to share with you unfortunately finding time to write everything down has been the issue. In any case here is an interesting new recipe we tried recently. 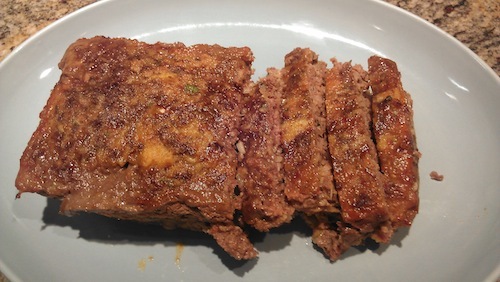 One day while flipping channels we saw Iron Chef Michael Simon making what he called Double Trouble Meat Loaf. 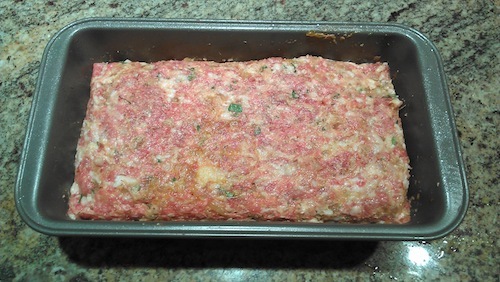 It was meat loaf that had your traditional ground beef mixed with ground bacon. Yes you read that correctly, Ground Bacon! At that point we knew we had to try it. Unfortunately for us we could not find ground bacon. We did however come up with a work around, freeze the bacon and put it into a food processor. It worked quite well, so get ready for some double trouble. 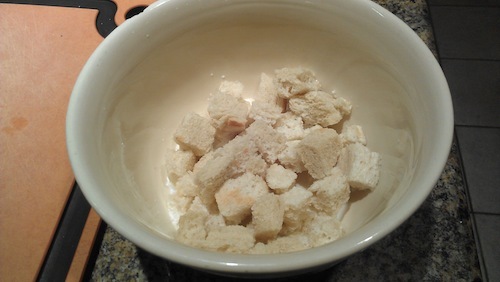 Melt the butter in a medium saute pan and add the onions and 1/4 teaspoon of the salt. Sweat the onions, and then add the garlic and continue to cook. Stir in the chipotle powder and paprika and lightly toast with the onion mixture. Remove from the heat and let cool slightly. 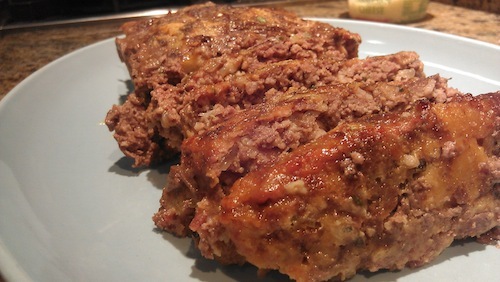 This meatloaf lives up to its name, it is full of flavor and heat! The meat is seasoned perfectly and the smokey flavor of the chipotle power adds a bit of heat that sneaks up on you. 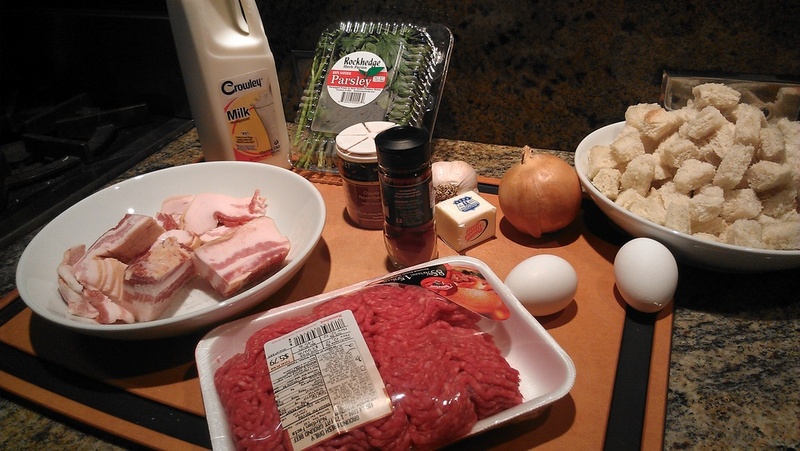 The ground beef mixed with bacon keeps this dish super moist and extremely flavorful. This combinations created a fork tender meal packed with a ton of flavor. It is not without its drawbacks, it was a hearty meal that was a bit greasy and is certainty not for anyone on a diet. There was a lot of excess grease from the bacon, but we were able to drain off after it was cooked. This dish was however just as good cold as a midnight snack (it may have even been better). 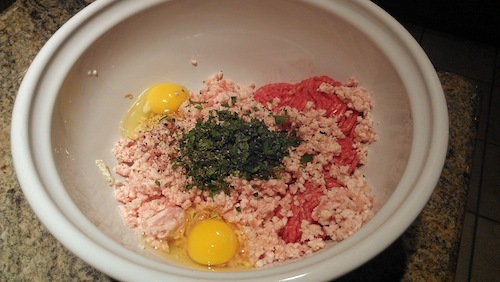 While this dish is not for the faint of heart it is a Should Eat Packed with huge flavor while adding a new twist on meatloaf it is sure to please the entire family. Take a day to cheat on your diet and make yourself a nice hearty home-style meal full of trouble.